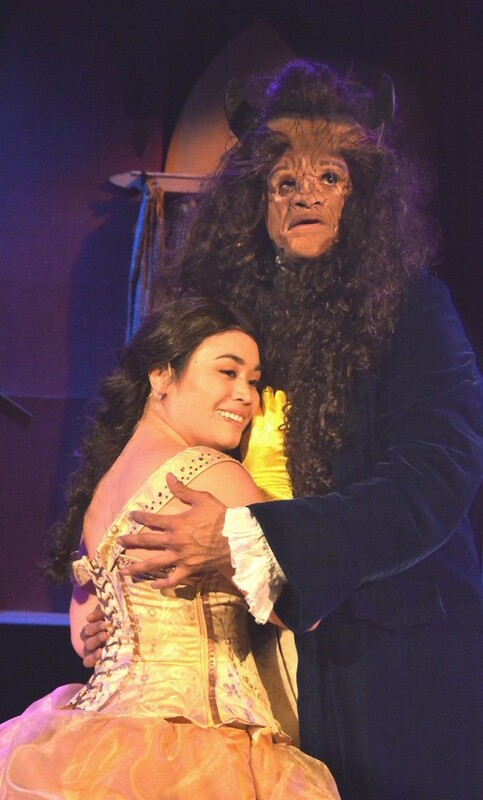 If you want tangible proof of the benefits of diversity casting, go see this homespun, upbeat production of that perennial tuner by Alan Menken, Howard Ashman and Tim Rice, Beauty and the Beast, now up at Casa 0101 in Boyle Heights. 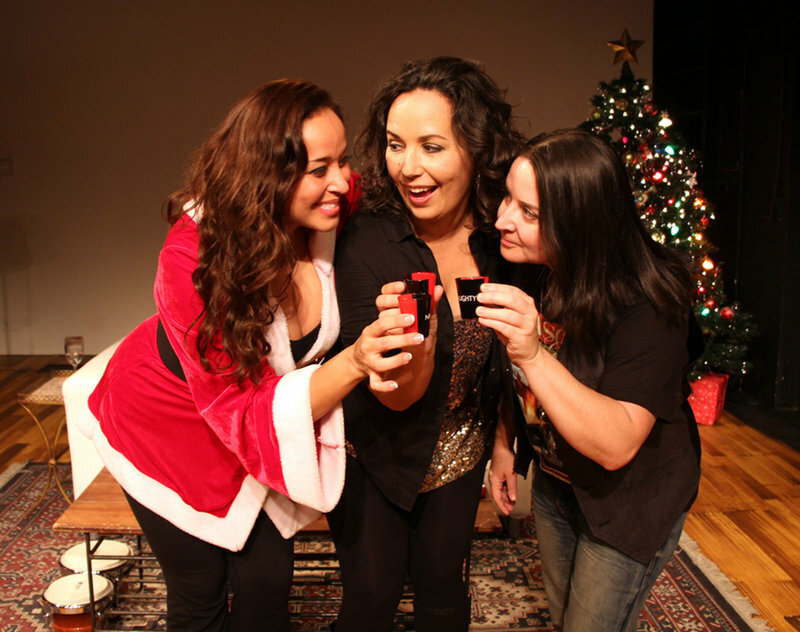 LATINA CHRISTMAS SPECIAL at L.A.T.C. 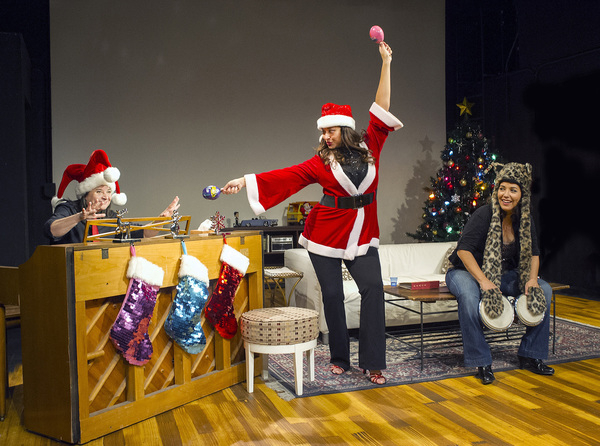 First performed in 2013, the Latino Theater Company’s Latina Christmas Special reunites three comedians — Diana Yanez, Sandra Valls and Maria Russell — who recount their personal tales of Navidades past. 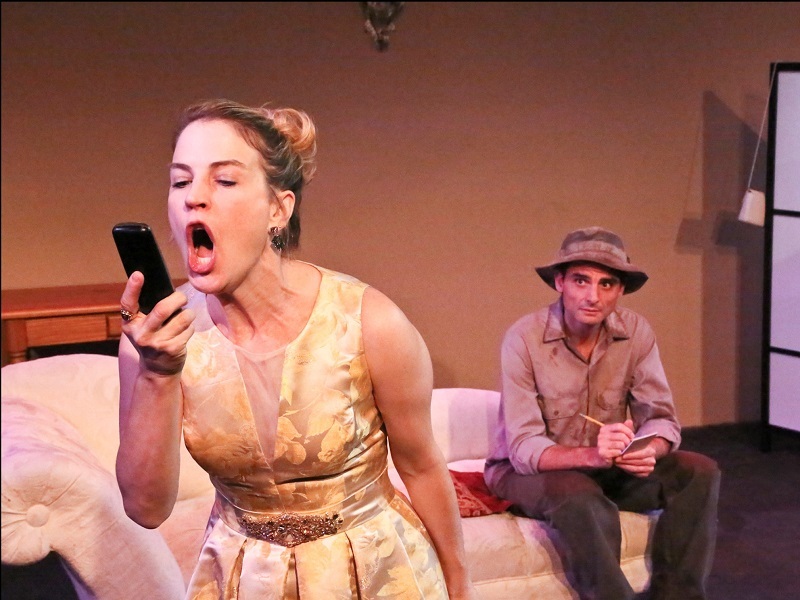 Playwright Debbie Bolsky set out to write a classic old-style madcap comedy, but what she produced is a singularly improbable farce. Most of us are familiar with Frank Capra’s much-loved movie about George Bailey (memorialized in the film by Jimmy Stewart), whose life turns so desperately bad on Christmas Eve that he contemplates suicide, but is rescued by an angel from heaven. 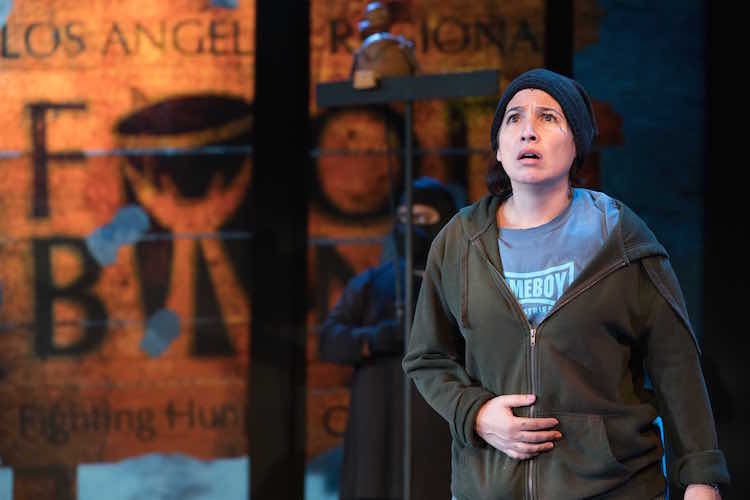 Magic Fruit is the latest (and last) offering in the Cornerstone Theater Company’s Hunger Cycle of nine plays exploring “hunger, justice and food equity issues.” It opens with sisters Tami (Cristina Frias) and Kiko (Rachael Portillo), frantic and bedraggled, stumbling through a post-apocalyptic Los Angeles in search of refuge from a shadowy serpentine monster — hunger itself. 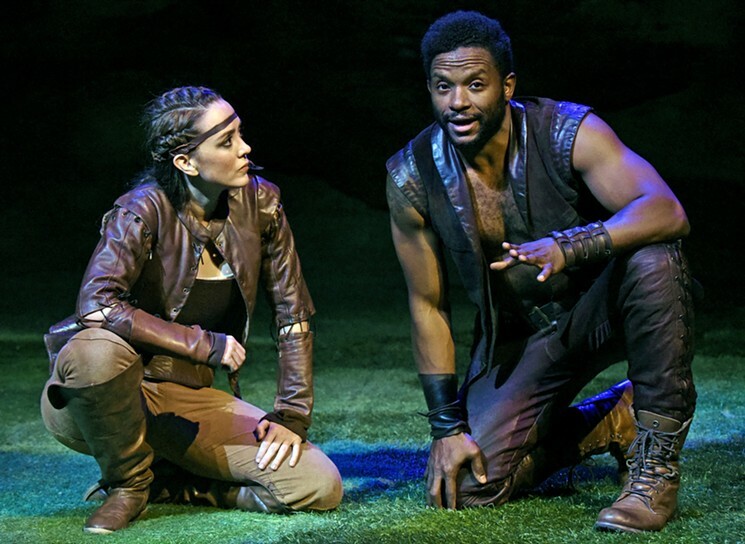 Deep in “The Heart of Robin Hood,” a production by the Icelandic company Vesturport, Maid Marion confesses to her sidekick/BFF Pierre that she has fallen in love with the outlaw Robin Hood. “But he’s brutish and emotionally unavailable,” Pierre replies. 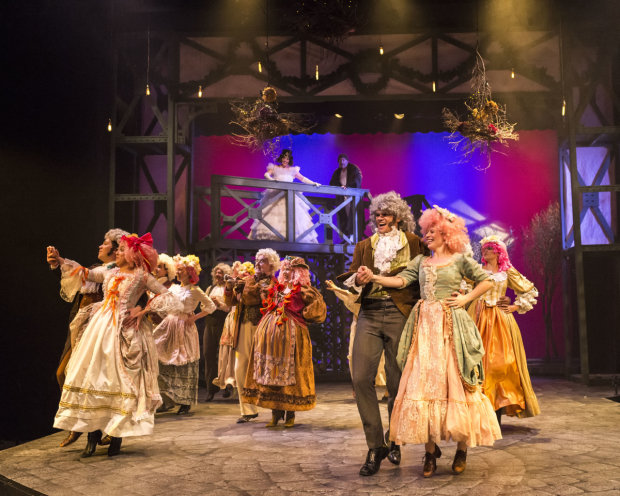 A Christmas Carol is perfect fare for the holidays. It captures the importance of giving, sharing with loved ones, and reevaluating past choices. 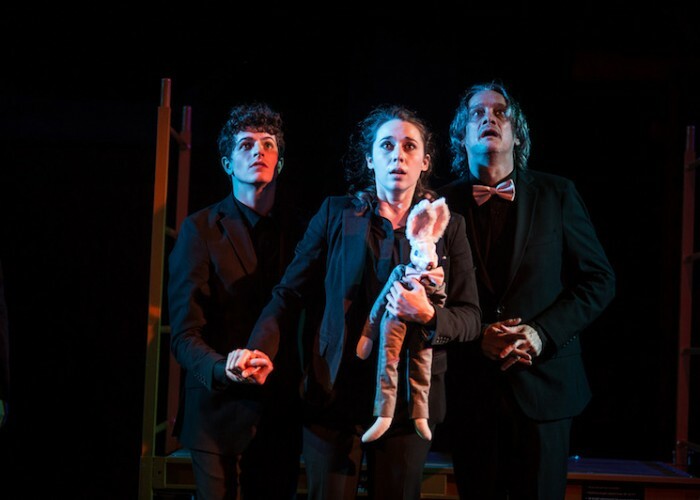 A Noise Within‘s co-producing artistic director Geoff Elliott has created his own adaptation, which has been performed at the theater for the last six years. A couple of years ago, looking to do a piece on socioeconomic disparity, Dan Froot & Company conducted a series of interviews with families suffering from food insecurity. 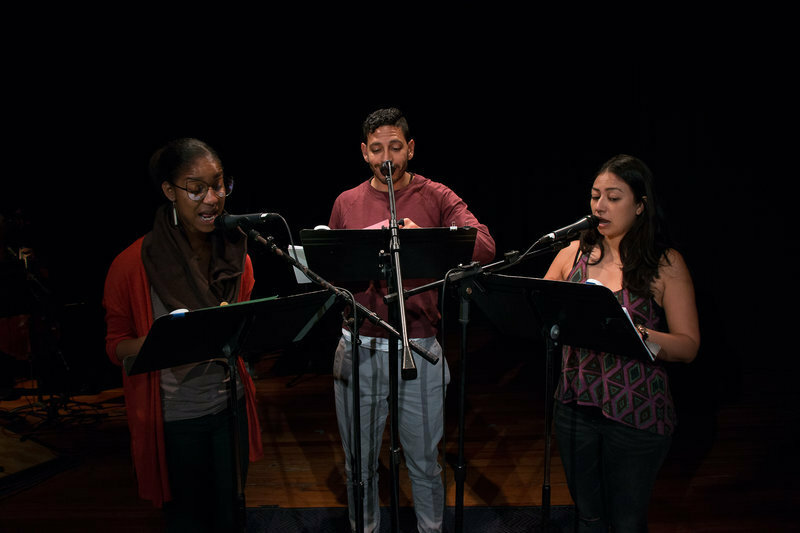 From these interviews — in Los Angeles, Cedar Rapids, Iowa and Miami — came three short pieces, designed as radio plays but meant to be produced as a theatre event with live performances, sound effects and music. 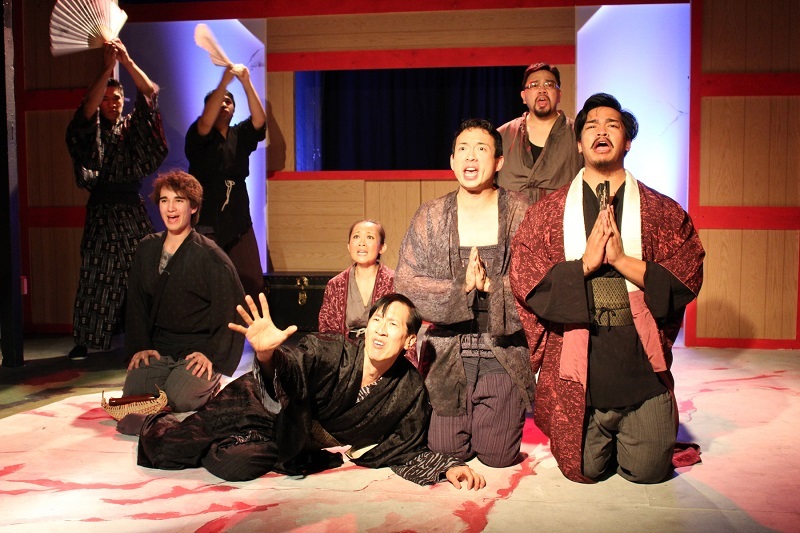 A beautifully designed radio play staged before a live audience, Pang! relays the stories of three American families who struggle each day with stresses brought on by poverty and want. 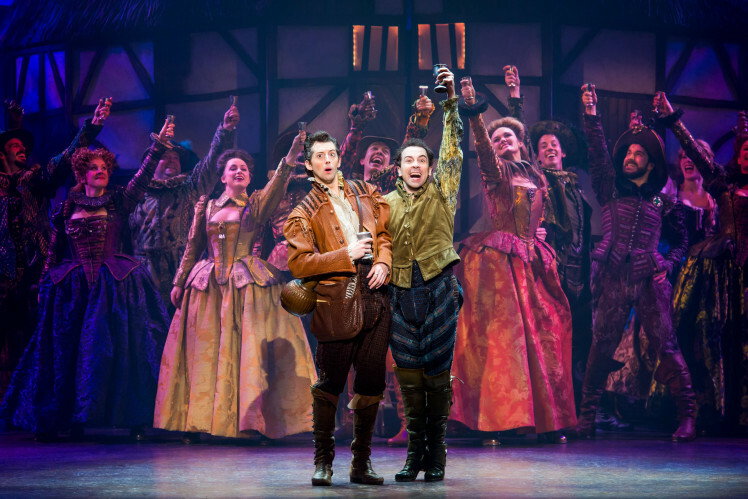 Just in time for the holidays, the rambunctious, crowd-pleasing national tour of Something Rotten! 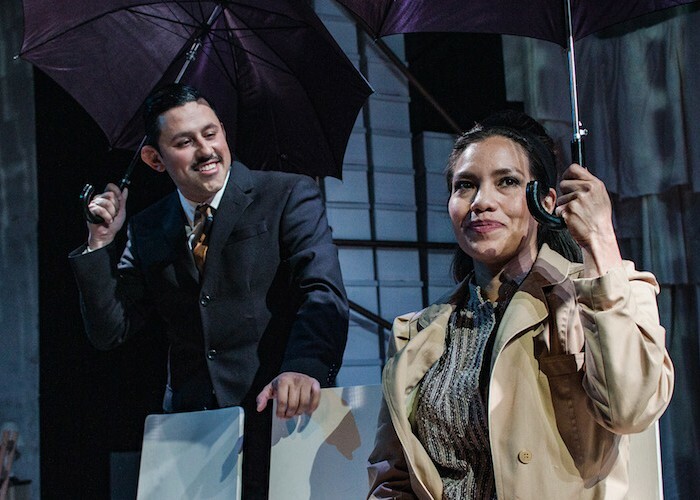 has opened at Center Theatre Group’s Ahmanson Theatre. 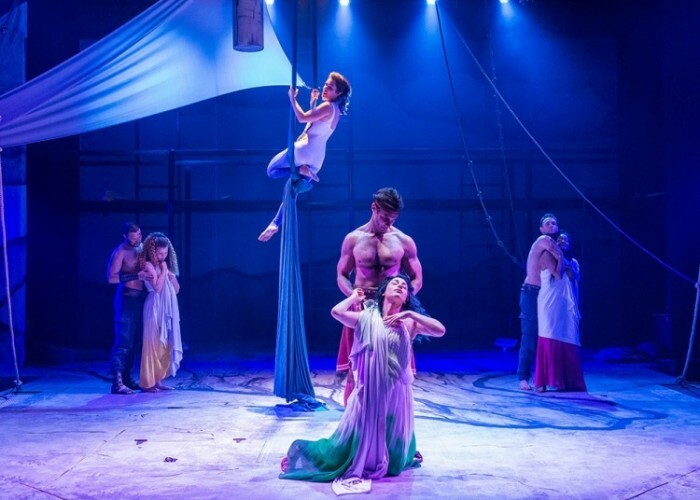 This original musical, which ran for nearly two years on Broadway and was nominated for 9 Tony Awards, is a rare show that is equally enjoyable for theatre aficionados and more casual patrons alike. 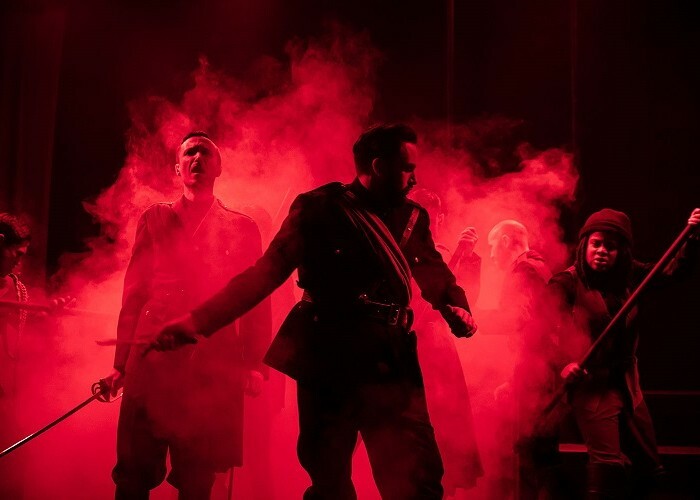 I’m of two minds about this upbeat musical (the bus and truck production of the 2014 Broadway hit) which is about theater during Shakespeare’s time. Credited to Karey and Wayne Kirkpatrick and John O’Farrell, it’s cheerful, peppy, energetic, and at times quite cute. 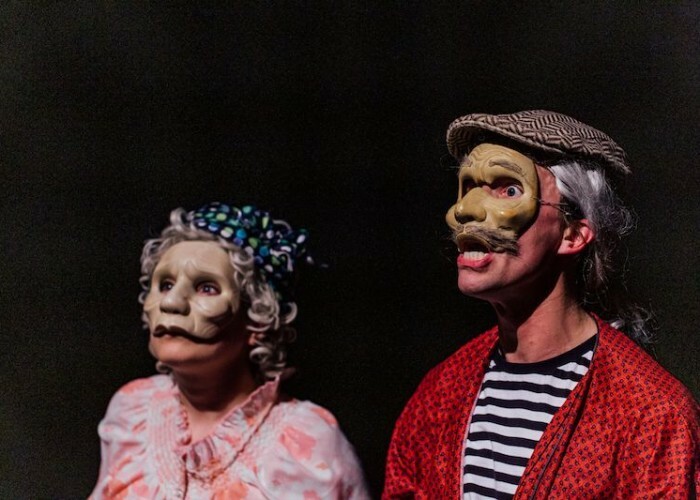 Something Rotten! 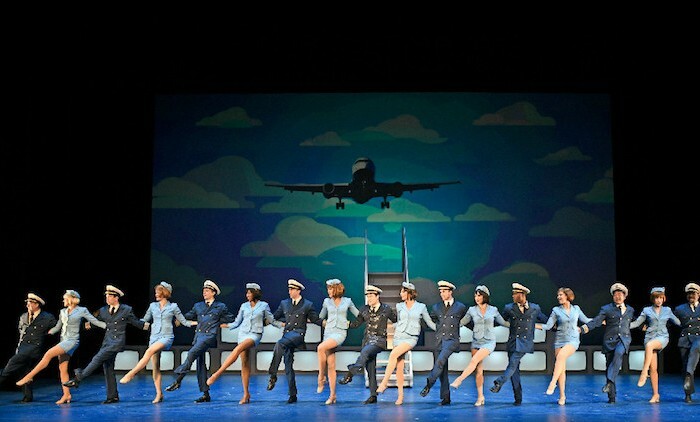 is a ditzy satire that takes a wry poke at wannabe-ism and artistic celebrity; while it may not be the deepest or drollest of musicals, the choreography is great, the lyrics are clever, and the comic performances are entertainingly on the mark. 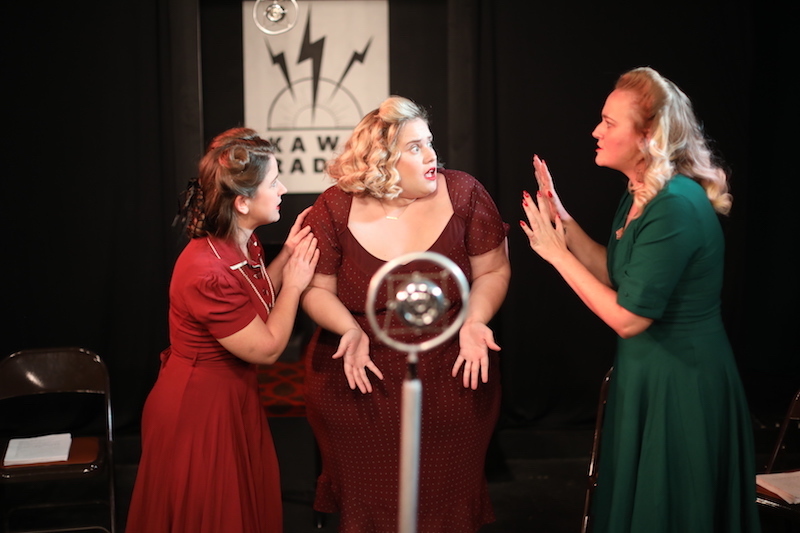 THE LATINA CHRISTMAS SPECIAL at L.A.T.C. 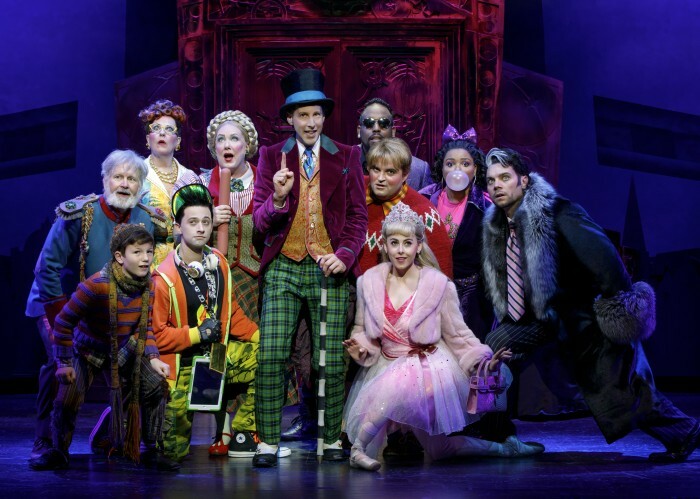 Both a gentle parody of the celebrity Christmas specials that ran on network television in the ’60s and ’70s, and a poignant memory play, is a goofy, spirited, lark running at the Los Angeles Theatre Center.